I’m trying my best to be as environmentally aware as possible about the products and ingredients I use and the effect they have on Earth. This includes food, body and house care products plus DIYing e.g. fabrics and materials. 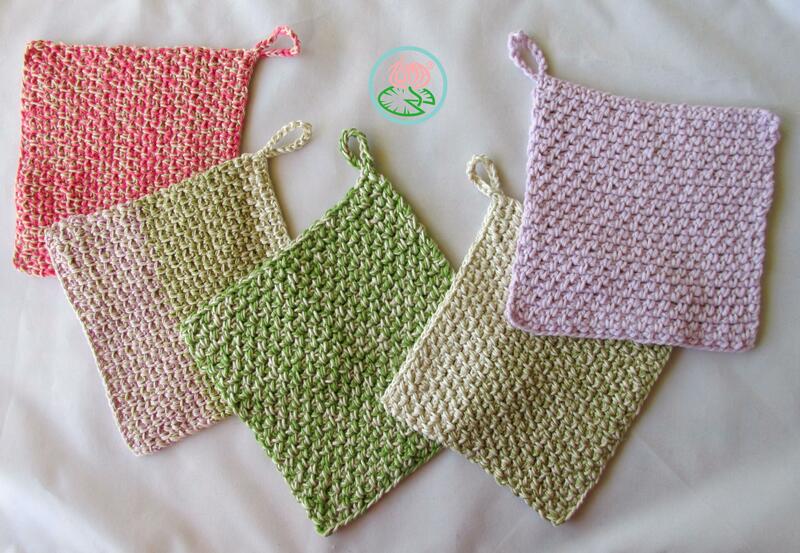 I had several leftovers of cotton and bamboo yarns and decided to crochet dishcloths. It was some time now that I was wondering if they are effective as promoted and advertised so I’ve made several and tested them around the house. Thick, soft, DK cotton is the best for dishes. Great substitute for sponge; it is durable, washable and long lasting. 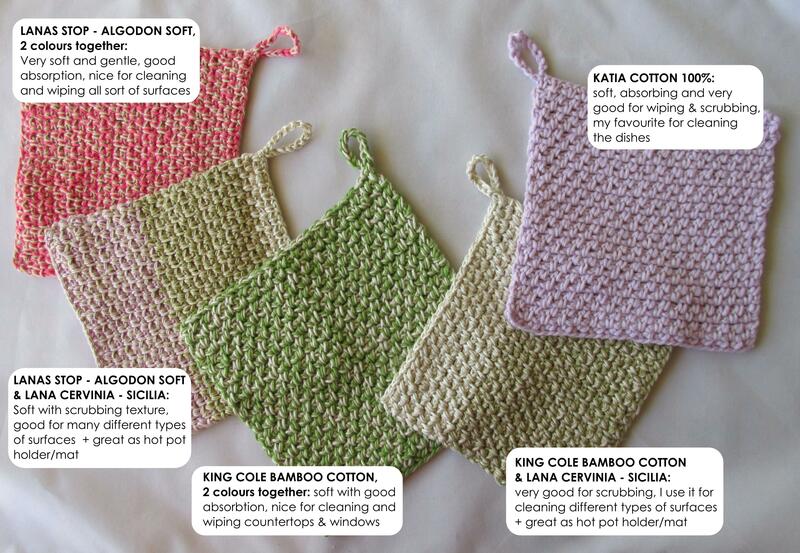 Bamboo & cotton, DK blends are great for wiping and cleaning all kinds of surfaces. Firm & Fine cotton are good for scrubbing, not so great for cleaning or wiping and do not absorb much. So they became hot pot holders and pads. A great reference about yarn weight and category can be found on ravelry & craft yarn council. To create them I’ve used my favourite stitch, Granite Stitch, as it is super easy, quick and produces a very nice texture. Using a hook size indicated on the yarn that you’ve selected** make a chain of an even number of stitches (from now on it will be called ‘initial chain’), you can determine the final length of your dishcloth by deducting 2chs from the initial chain you’ve created. At the bottom of the post you will find example of yarns, hooks and stitch number of initial chain. Row 1: skip 3chs, sc into forth ch from hook, *ch – skip ch, sc, repeat from * to end. Row 2: ch2, TURN, skip st, sc into next ch-space, *ch – skip st, sc into next ch-space, repeat from * to end. Row 3- … : Repeat Row 2 until you’ve created a square. Finishing off: you can fasten off here or you can create a hanging cord. Hanging cord: ch 10-15, slst back into last st of the dishcloth, fasten off, secure and hide the tail. 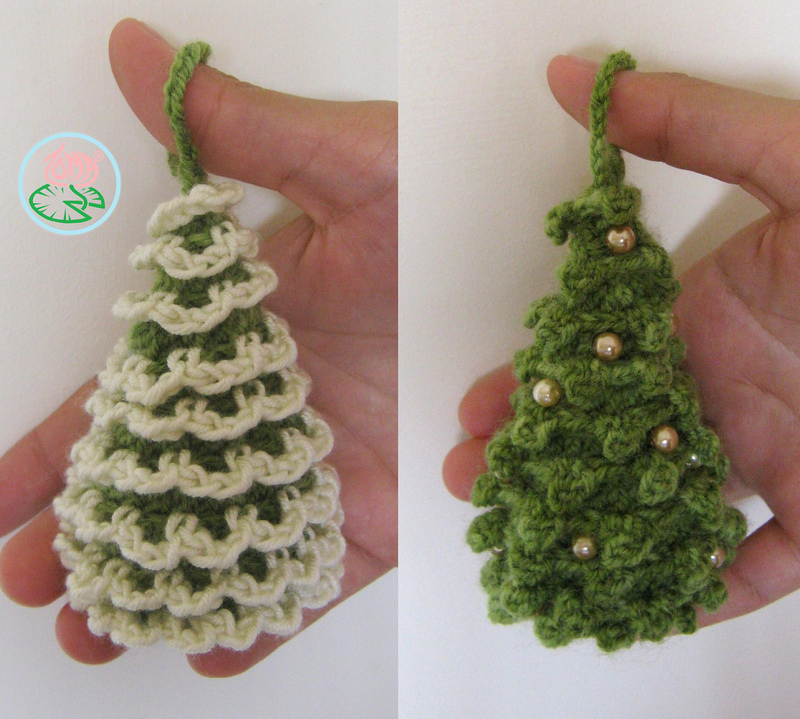 **My initial chain tends to be slightly loose comparing to other stitches as a result, only for the initial chain, I used a hook size smaller by 0.5mm to make a firm square. If you do not have such a problem then use the same hook for the whole project. Katia Cotton 100% yarn + 3.5mm for the Rows: 16.5cmx16.5cm (6.5inx6.5in). Made out of initial chain of 34 and 28 Rows. LANAS STOP-ALGODON SOFT two Colours/yarns together + 3.5mm for the Rows: 15cmx15cm (6inx6in). Made out of initial chain of 38 and 31 Rows. LANA CERVINIA-SICILIA & KING COLE BAMBOO COTTON + 3.5mm for the Rows: 18cmx18cm (7inx7in). Made out of initial chain of 36 and 27 Rows. KING COLE BAMBOO COTTON two Colours/yarns together + 4mm for the Rows: 18cmx18cm (7inx7in). Made out of initial chain of 34 and 27 Rows. LANAS STOP-ALGODON SOFT & LANA CERVINIA-SICILIA + 3.5mm for the Rows creates: 15cmx15cm (6inx6in). Made out of initial chain of 36 and 29 Rows.